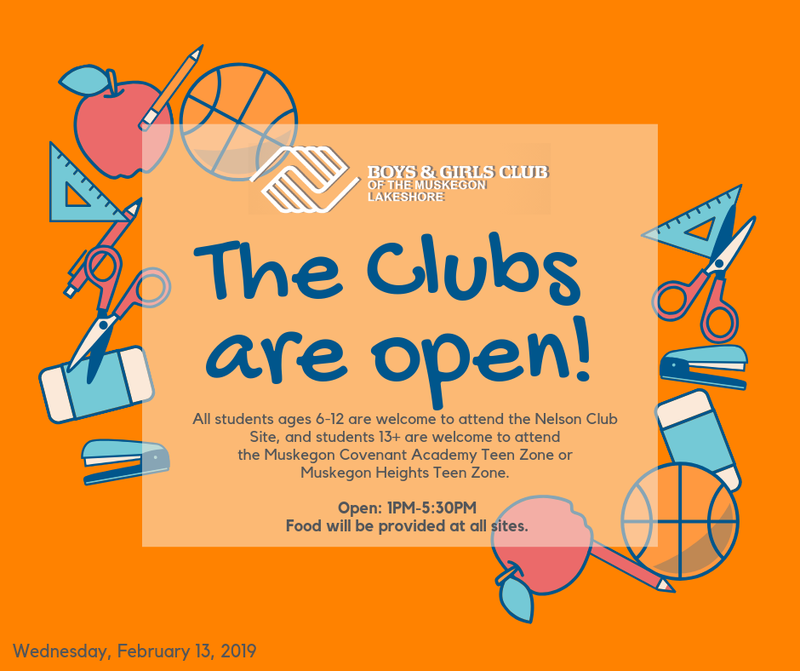 As students and parents face yet another snow day, the Boys and Girls Club of the Muskegon Lakeshore announced they will be able to safely open their three club sites today, Wednesday, Feb. 13, from 1pm to 5:30pm. 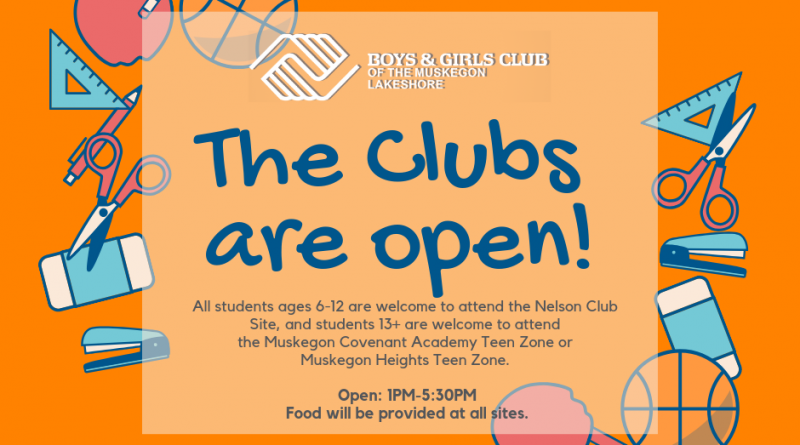 Students between the ages of 6 and 12 years old are welcome to attend the Nelson Club site (550 W. Grand Ave.) and students ages 13 and older are invited to attend the Muskegon Covenant Academy Teen Zone (125 Catherine Ave.) or the Muskegon Heights Teen Zone (2441 Sanford St.). Admission is free and open to all Muskegon County youth, and food will be provided at each of the sites. At the venues, “parents and students can expect a fun, safe, and welcoming place to shoot some hoops, play games, be creative through arts and crafts, work on team building exercises, study, make new friends, and so much more,” the Boys & Girls Club of the Muskegon Lakeshore wrote in its announcement. 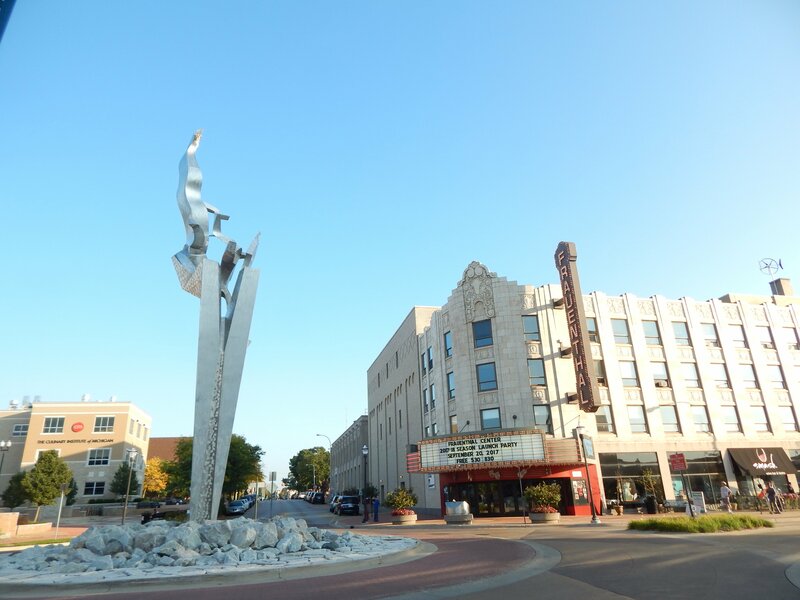 If a student has not been to a Boys & Girls Club of the Muskegon Lakeshore site before, they are asked to bring a guardian to one of the three sites and fill out a one-day pass in order to check in. The pass is free.